Jeweled Venetian Bead made with 24kt gold foil and tiny fragments of glass known as frit in a random pattern. Size is approximately 10x 12mm cube with a 1mm hole through the center. These beads may also be referred to as Baroque, Jewelled, or Gem studded. 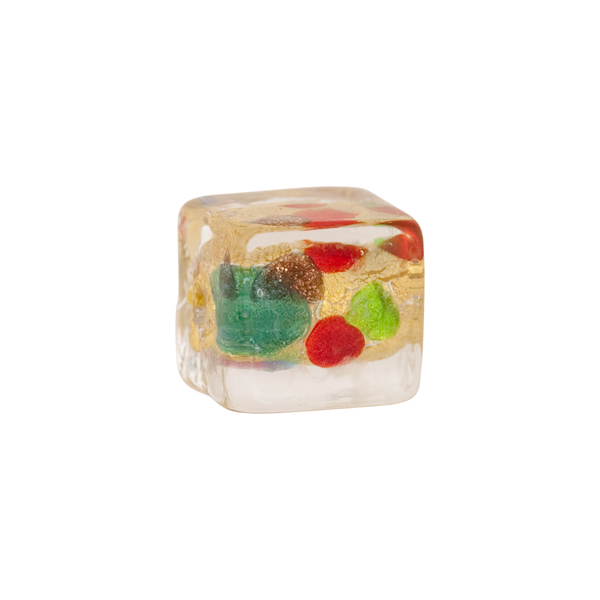 Multi colors of Murano glass over 24kt gold foil and completely encased in clear Murano Glass. 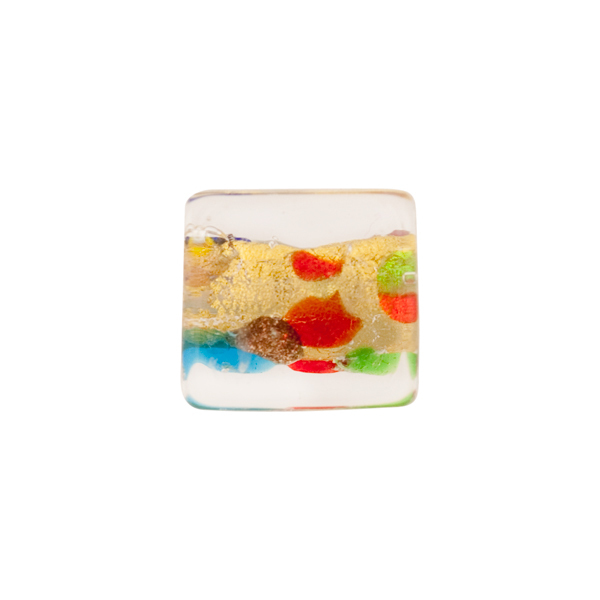 This colorful bead features a small core encased in gold with the multi colors of frit and a thick coating exterior of clear Murano glass which magnifies the effect of the design. It is one of our favorite beads for earrings.